Lexus IS Forum > 2nd-Gen IS250/IS350 > Showroom > 2011 IS250 with no HIDs??? 2011 IS250 with no HIDs??? I would like to have HIDs on my 250. After doing some reading here in the forums, it seems like doing a HID conversion would be a easy option (and cheaper). But, i do like the LED DRLs as well. I can't seem to find a direct answer to this (and it may be a very simple answer). Could i do a direct switch of headlights to the 2011 HID headlights with LED DRLs? meaning just plug and play without any modifications. I found these on eBay and asked the seller if they would fit and he said all 2011 IS250s should have HIDs. i also included a picture of the headlights on my 2011 IS250. as you can see, no DRLs, so no HIDs. will these headlights fit?? Last edited by noudles; 08-20-2015 at 10:19 AM. Why dont you just change your low beams to HID and your DRL/Highbeam to LED? 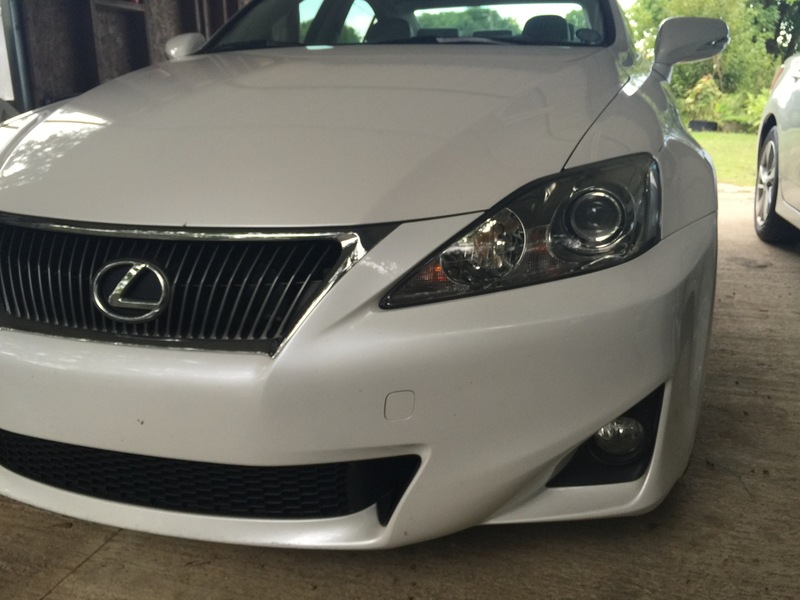 « Wheel Color & Touch Up Paint | What front Bumper is this ?